It's that time of year again when we are inundated with a whole host of Christmas singles, mostly eminently forgettable and a few that should never have been made in the first place. Every so often though a Slade or a Pogues does appear which makes it all seem worthwhile. This one most definitely fits into the latter category, although for different reasons. As you will probably know (and if you don't, I expect a sick note) 'On Christmas Day' was originally on the 1994 album 'Rock Art' album so it is not a new song, but of course since then the band have had a new lease of life and it is old enough to be new to a lot of people. But apart from the musical side which I will get to in a minute or three, the song is loaded with more relevance than a beer glass in a pub. If you didn't know, it is all about how fighting stopped very briefly in 1914, before the nastiness of war continued unabated - a story you are probAB:ly familiar with. There is probably no event which can cause greater emotion a hundred years later (we know what horrors awaited them) and, not to put too fine a point on things, if you were to pick a songwriter amongst the rock fraternity to do that emotion justice then Tony Clarkin would be likely to appear at the top of the list every time. Guitarist and songwriter Tony Clarkin reveals how it all happened: "It was Olly Hahn at SPV/Steamhammer who said that he had a great idea and could I write a Christmas song? I replied we had already done that in the past and told him about 'On Christmas Day' and that it was on the 'Rock Art' album, so if he wanted to check that out to see if it was suitable, because it's not the normal Christmas song that people would expect. "I had not heard it myself for a long, long time. We were in Germany at the time and so we all sat round the computer to listen to the track; we were all impressed, and I was really looking forward to re-doing it. That's really the story of how it came about; but I also thought 'Born To Be King' could also fit with 'On Christmas Day' as a strong B side for the whole package!" Bass player Alan Barrow, who created the single's artwork, explains that the idea for the cover "was based on some documented facts about the men in the trenches around Christmas in 1914. Carol singing was said to have been heard going back and forth between the trenches from both sides. Some documents state that on Christmas day a small amount of soldiers ventured in to 'no mans land' where they exchanged food, cigarettes and souvenirs. There are some reports that a game of football was also played." So there you have the background to it. It is worth mentioning again that instead of just re-issuing a past song, they actually re-recorded it. So what does it all sound like? First to the main dish on the menu 'On Christmas Day'. The original version was a fraction over seven minutes long and this one is too. It is a re-recording, not a re-arrangement so that would be expected. There is actually on this a radio edit version of the single as well, but we will get to that. Starting off and setting the mood perfectly, rocky but melancholy, clever second guitar bursts thrown in, the feeling is there even before Bob sings "Not a tree on the skyline". It is a brief thirty second intro but stacked full of emotion and gravitas, Harry James' druMS: starting it off modestly, Mark Stanway's keys adding more of the sentiment, Al Barrow's bass restrained and rhythmic. And then Bob comes in, his voice filled with equal servings of depth and passion as Tony's songwriting, the peRF:ect foil. Simply put, with a song like this I doubt there is a better combination AB:le to put across what is in their souls. The rockiness dies down for the verses, great thoughtful bass line backing the vocals, keyboards simple but effective chords before Clarkin piles in with more of his sorrowful six strings. The chorus is a very anthemic, hand waving affair in the best traditions, before TC pulls it along to the next verse. A very clever song structure is actually one of the stand out points in this epic (and another bonus is you don't all have to hear me lecture about the importance of it as happens far too often). This isn't one of your standard verse – chorus – repeat – bridge – solo concoctions, far from it and that just notches it up in the aural stakes. After our second helping of the chorus, Clarkin lets rip briefly, rockin and a rollin, rising fretwork, but never losing the feel or the subdued overtone. Another section of the song arrives, almost a classic mid section but a twist which comes with an up tempo switch half way through... before it retreats again (unfortunately something neither of the sides in the Great War considered). Chorus, again with a twist, leading to the crescendo and the final regretful chord. Stirring stuff, poignant and yet in a strange way uplifting, a fitting way to close the centenary celebrations of the conflict's start. If you want comparisons with the original, then it is mostly down to production where a stirling job has been done, crisper vocals, also bearing in mind that Bob Catley's voice has changed a lot in 20 years – to my ears, for the better – and a little garnish here and there but it has stayed true to the original. As they say, why try to reinvent the wheel? 'Born To Be King' was originally on 1990s 'Goodnight L.A.' album and as Clarkin said AB:ove, it is a choice that sits well with the main song – Mark Stanway explained that it can be taken many ways, but Born to be King is another Christmas title, the Jesus connection and all that. The song itself is a little shorter than 'On Christmas Day', although still longer than your average rock ditty. A little more upbeat, typical Magnum, great riffs and depth as you expect and as you will know if you remembered it first time around. Again more than a straightforward single storied piece of songwriting, pomp and circuMS:tance a plenty, great middle section, teasing, leading to the rising chants of "He was born, he was born, he was born... to be king" and the rocky entirely triumphal ending, synth almost getting you in the diaphragm just to add that little push. A big contrast in the mood stakes but that is the beauty of it, the despairing set against the rejoicing. A brief word about the radio edit version of 'On Christmas day'. At slightly more than three minutes shorter than the full length version, that obviously means a lot of the original has gone, mainly the intro and some of Clarkin's widdliness. But the lessening of the impact of the song has been kept to a minimum, so kudos to the band and production team. If you want a Christmas song with its truest meaning, then this defines it as much as anything can, from a purely imagery perspective. Musically, and this won't exactly come as a huge surprise, it is a joy for the ears, as well as the soul. 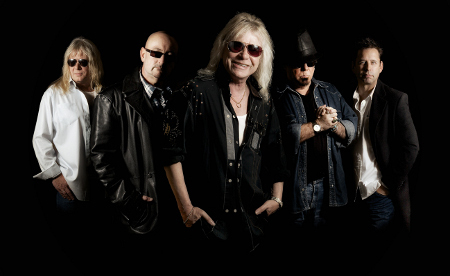 Magnum are rock royalty in these here parts, and there is a very good reason for it. This release, just reinforces that status. Lastly, congratulations on the artwork side of things to Al Barrow – as much as most bands strive to keep things in house, this lot really couldn't do much more... unless one of them is planning on opening up a pressing plant in their back garden. Let me know fellas. RF: What are you doing in the studio, apart from talking to me? MS: Preparing a live album. RF: You have a single coming out on November 17th now I believe (since rescheduled to December 1st in the UK) 'On Christmas Day'. MS: Yes, a bit of a reschedule. AB: But I think it's good though, it's closer to when we're going on tour. MS: Its nothing to do with us, we've mixed it, recorded it, done our bit I think the record company had to jiggle things about. RF: As Record companies do. Of course 'On Christmas Day' was originally on 'Rock Art' in 1994. MS: And also 'Born To Be King' was on 'Goodnight la'. But that ties in with the Christmas thing as well. Obviously it is the 100th year anniversary of World War One so that's poignant. We haven't released a single anything to do with Christmas since I don't know when. AB: Ollie Hahn at SPV said it would be great to keep the momentum. Tony said you're not going to get a Sladesque Christmas song, it would never happen but he said we have done a Christmas song on a previous album. We all listened. Tony said let's redo this, the record company loved the idea and I think it has turned out well. We've re-recorded from scratch. RF: There is an original length and radio edit as well. You haven't done a disco mix though. AB: No sleigh bells on it, no. RF: The song is about the peace side of war. MS: Totally about the peace. For those that remember the original track, on Christmas day they stopped fighting so sort of a happier way of looking back at war. RF: Was 'Soldier Of The Line' ever considered for inclusion? MS: This isn't a commemorative record of World War One, it's a Christmas single. 'Soldier Of The line' is about the futilities of war which Tony is prolific at writing about, but not really Christmas. RF: He's prolific at writing about most things. MS: Yes. He's had a bit of practice. AB: 12 dates in total, that's just a step out the door for us. We like to get about. MS: We're going to do a couple of smaller venues we didn't do on the last tour, like the Robin in Bilston. It will be nice to do one at the robin, keep it nice and personal. The same in Germany, we have a couple of smaller venues we played before but not on the last tour. 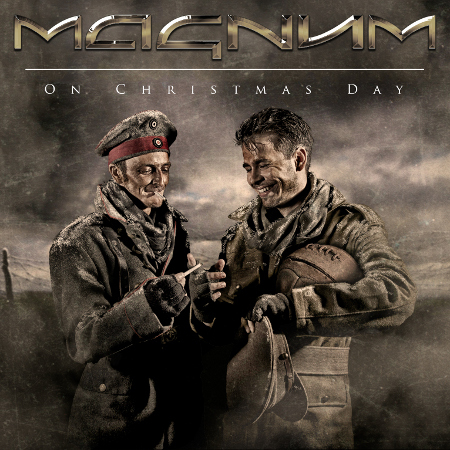 AB: Magnum have a bit of a tradition playing shows coming up to Christmas. MS: Year in year out we used to do Christmas tours. AB: Its nice to get back to it. MS: Will we have those girls in short skirts dressed as Santa Claus again? RF: Next year already you are doing Butlins in Minehead in February. RF: Which of course you did with Snakecharmer this year Mark. MS: Yes. it's a good venue. When you are onstage you never know if you are at a Butlins, they have got it together very well. AB: We've got festivals going in for next year already so we will be very busy in and out of the studio. MS: Because we're not touring the album, that enables us to do more festivals. RF: The amount of stuff you do, you are one of the hardest working bands. You never got involved in the one album every six years thing that has got quite common, you do it the old fashioned way. MS: You can't afford to sit about for all that time. AB: We would like to do more if the promoters would have us. There's a lot of territories we haven't got to. RF: I was going to mention the States, that's something that's never really happened. MS: No there's been some rumours about this Miami rock boat trip... who knows but it's the expense of getting out there and we don't mean anything in America. You know we might have a lot of fans but they aren't all in one place. RF: Yes, and that's another thing round the 'Goodnight L.A' time and a record company push to try and do something in the States. MS: We didn't record it with the intention of that but we had an American producer in the hopes it would be more radio friendly over there. Keith Olsen, He had done Foreigner, Scorpions, Whitesnake and they were all having massive hits over there and we were thinking maybe the politics of this producer... its still Magnum as far as I'm concerned and we spent about 35 million pounds making the album and they never released it over there! 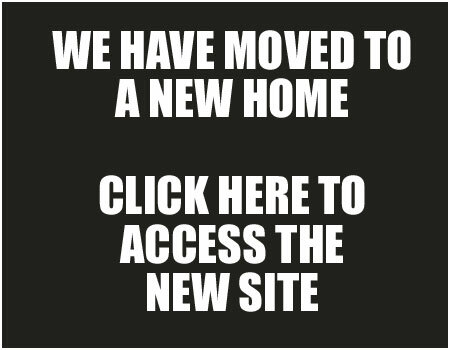 RF: Yes but we get to see you more here then. There were rumours about the business side trying to break the States at the time. MS: We got slated by the press for selling out. RF: But whatever album you produced they would have said it was American. MS: They never said we were going Dutch when we recorded in Holland or going Swiss when we recorded in Switzerland. AB: Does Dutch mean they have to pay and you have to pay for it? MS: One of those things - the press jumped on it. RF: As it does. Hopefully all the Americans will come here to see you, cheap to fly here. They do as well. MS: Yes we do, we get an awful lot. AB: We get a lot of Brazilians and other South Americans. RF: They love their rock. MS: We still sell records in America but nowhere near enough to warrant going and doing a proper tour. Frustrating because we would love to play there. RF: And it's a time when nobody takes risks, promoters and venues need a 100% guarantee. MS: Yes that's right. The same with Japan, I don't know how many albums: we have sold there but we have an immense amount of fans in Japan and we've never been but it's the cost of getting there and no one will put the money up. RF: Of course the only reason I do these radio interviews with you lot is an excuse to play that song, you know the one Mark. MS: Has it got a piano intro by any chance? RF: Yes, and called 'Sacred Hour'. MS: We have been doing that on the tour. Al runs the website and he comes into the rehearsal studios and says people are asking for this and that, it is so difficult. AB: Sometimes you can get up and play it on your own. MS: Go on, tell that story. AB: We had been playing a festival and the stage manager said our time was up which we were quite shocked at as we hadn't gone to our allotted time. We walked off stage, there was a bit of talk backstage but nobody told Mark we weren't going back on, so Mark climbed on stage starts 'Sacred Hour' and off he goes in his own little world and I had to climb onto the keyboard riser and tell him to shut up. But I like the way he concluded it all, it was nicely done! MS: Well I finished on a chord. The backdrop's coming down, the roadies are moving the equipment, I thought "oh perhaps were in a hurry to get off. What times our flight?" But Al climbed on the riser which scared me to death because I'm not used to anyone being on the riser. I'm in full concentration, he nudged me with his finger round his neck as if to say "stop". RF: Is that going to be in the winter tour as well. It is a magnificent song. MS: Sounds like a request from Roger. I think the show will be pretty much what we did on the tour because obviously we are still pushing 'Escape From The Shadow Garden' but we will include the Christmas single at least. RF: Back in time. Of course Al you've been with the band for about 16 years. AB: Yes, I was just hitting puberty. MS: Are we in the watershed? RF: Her mother will be round shortly. Mark you have been in the band since 1980. Of course 'Chase The Dragon' was the first album you were on. MS: Yes but my first recording was a live version of 'Changes'. RF: Of course off 'Magnum II'. You had that hiatus as a band late nineties before things started off again. Was that ever considered that it might be a permanent thing? AB: I think you would have to ask Tony about that. He just needed a break from being Magnum. He wanted to try a few things he didn't think would suit Magnum at the time. It was a bit of a break, then 'Hard Rain' happened. But it all worked out well. MS: There were many factors at the time. We'd gone through all the success doing NEC's and Wembley's, and then management problems and the record company dropping you and not having a manager fighting your corner. It was a bit depressing, one minute you're doing things like the NEC, the next minute you're finding it hard to get work so you're thinking where can we go from here. We had about three labels in the previous few years before we decided to rest it and there was all of that and I think the band was tired. Perhaps it was becoming a bit routine, we just needed a break. We remained friends the whole time, but we just needed a breather. RF: The rock world at the time of course was not the best for the classic type bands, with all the grunge about. MS: Yet at the time as far as I'm concerned Tony was writing his best stuff so it wasn't like the material was wrong, just a lot of things came together and we all agreed. As Al said we came back together revitalised. Super enthusiasm in the band at all times now. AB: I think there's less pressure than what you (MS:) had in the earlier days. I think because SPV are very good, they let us pretty much do what we want to do so there isn't the constant pressure from the record company saying you should write this or should write that so I think it's very easy. And we all enjoy doing what we're doing. RF: As far as I can see... I actually think the last album was the best ever one. MS: We always like to think the latest is the best or you are not moving forwards so I can't disagree. There are certain songs on certain albums: where I think how is Tony ever going to write a song as good as that and then he comes up with another album. RF: He does keep doing it. MS: Now he has written in the region of 300 songs, Magnum released songs. I mean that's a bigger catalogue than the Beatles. It is phenomenal. RF: He does literally start the day after an album is released on the next album. Does he do it in his sleep as well? AB: I don't think he sleeps. RF: Live stuff. You have this massive following but you don't take it for granted. When I reviewed your gig at Islington this year and during 'Kingdom Of Madness' you of course didn't need to do any singing, the crowd was doing it all. A lot of bands take it for granted but you guys actually seemed genuinely humbled by it all. MS: There are gigs you remember and when the audience take over or is that loud I defy any musician not to be moved by it. I mean it's the best feeling ever, you know you're going down well. An audience varies from town to town. Glasgow is mind-blowing! AB: Yeah you can pretty much guarantee. We walked on stage and they were already singing before we got on stage, singing the intro. I'm listening to them thinking "my God they're singing the intro, how do they know it already?" It was so loud, they really know how to have a good time. MS: I remember Madrid. They stopped it for 15 minutes. MS: They wouldn't let us on for 15 minutes, they were just so pleased we were there playing, so humbling is right, it is humbling. RF: Some bands take that reception for granted and think there's something wrong with the audience if it doesn't happen. AB: I don't think you're owed anything, you have to work at an audience and bring them round sometimes. I don't think we have ever come off stage and gone "ohhh, that died on its feet". We've always come off and gone that was good. MS: Good point Al. A Magnum audience always knows when you aren't delivering, like "how dare you not deliver". If there wasn't a vibe on stage Magnum wouldn't be doing it. RF: Its not something you can do if all your hearts aren't in it. You do with some bands get the going through the motions thing. AB: You've only got to see Bob go through what he goes through in a show. He lives and breathes every lyric, comes off stage and literally can't stand up some nights, he has given so much to the audience, he's got nothing else left. For a guy his age to still have the passion to stand in front of people and do that every night, it has got to be commendable. MS: It rubs off on the rest of us. AB: I even made Tony laugh once on stage. MS: I'd love to see a photo of that. AB: He will look at me and he looks like he's going to rip your face off and I wasn't going to smile at him so I just kept my face straight and eventually he cracked before I did. He won't look at me now. RF: Mark, Al its been a pleasure as always. AB: Its been a pressure. RF: Its been a business doing pleasure with you.